During the Howard era the ABCC harassed and threatened construction workers. It removed their right to silence – a right even murderers have – and allowed secret interrogations of employees. An example of how the ABCC abolished the right to was in 2008, when Ark Tribe a construction worker, was brought before the ABCC because he attended a safety meeting. Mr Tribe refused to answer the ABCC and to obey the ABCC, so they proceeded to put him on trial. Under reimplementation of the ABCC, Unions and workplace reps will be prevented from acting on health and safety. During Howard era with the ABCC, deaths on construction sites were at the highest level in the past decade. It is not just workers rights that will be threatened and removed, but the very nature of industrial democracy where workers have an input into their workplace will also be destroyed. 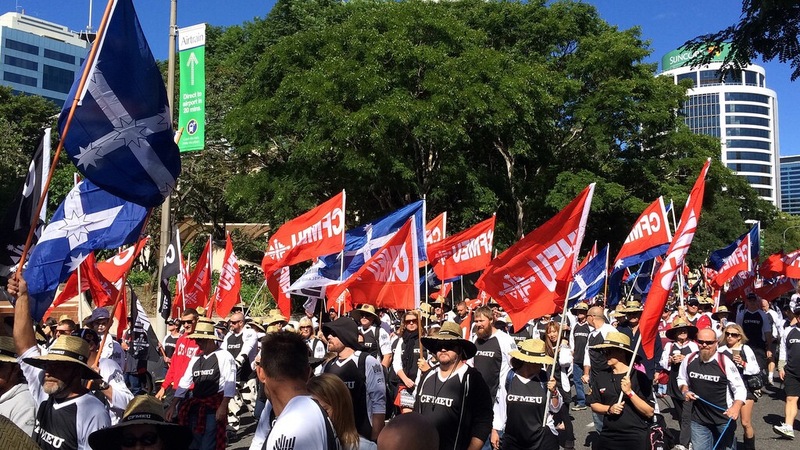 The Construction, Forestry, Mining and the Energy Union (CFMEU) has asserted that if the ABCC bill is passed, the ABCC bills will invalidate some workplace agreements – the very instruments workers have had an input in. Supporters of the anti-worker and anti-union ABCC bill say the ABCC was and will be politically neutral and will prosecute not only employees but employers as well. The reality of the situation is that from October 2005 until June 2011 the ABCC brought a total of 86 prosecutions against unions and union officials and only five prosecutions against employers in the same period. In the period 1 July 2009 to 30 June 2010 there were 29 prosecutions brought against unions and union officials and none against employers. Supporters also state that the ABCC is needed to clean up criminality and corruption in the construction industry – the reality is, the ABCC never had any role in investigating breaches of the criminal law. It dealt with and will deal with possible industrial law contraventions, which are and always have been civil, not criminal matters. This Bill would not change that situation at all.